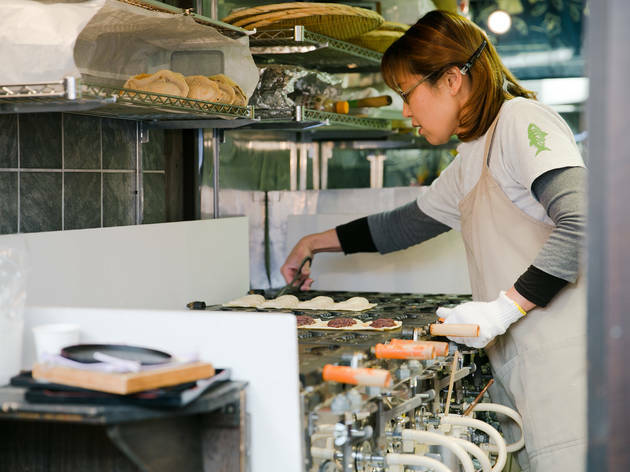 Don't be fooled by the 'grilled tuna' advertised at this outer market shop – the dish is actually taiyaki, a fish-shaped dessert consisting of a pancake shell filled with red bean paste. 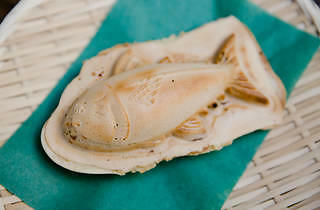 It gets its name from its crispy shell and thick body, which is shaped a little like a tuna fish. 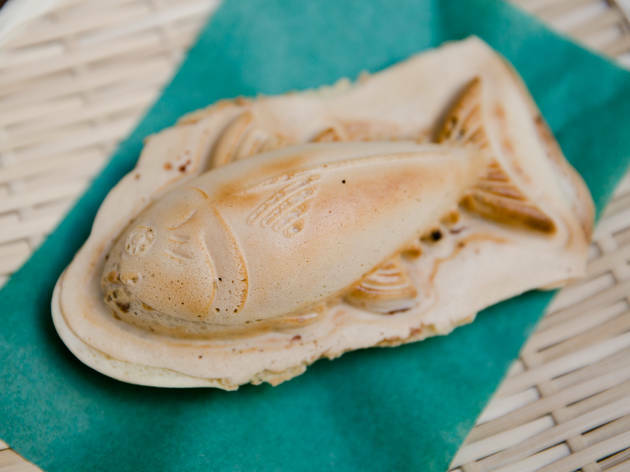 You can also sample the 'medium-fatty tuna' dessert, made from apricots and more red bean paste. Find it near the Tsukiji Yon-chome street crossing.